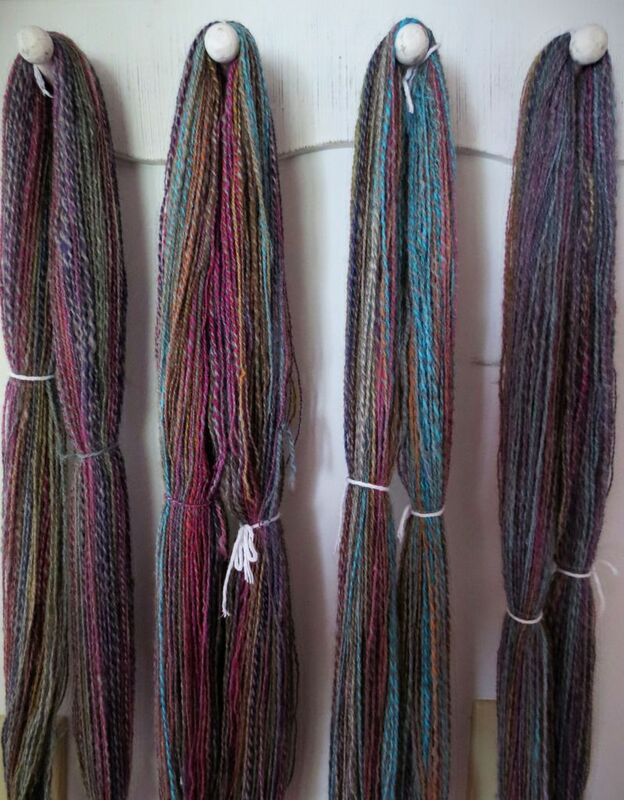 Yesterday I finished spinning the grey alpaca to ply the 'Odds and Ends' fiber with, and I plied them together, and this is what I ended up with. I've got to admit... I am completely in love with this yarn. 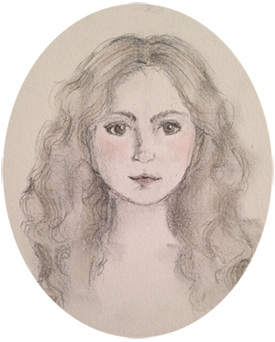 It's soft and squooshy and the colors blended together beautifully. And there's a ton of yardage, too-- it's 856 yards out of a combined 8 ounces of fiber. It's going to become a Lala's Simple Shawl that I'll wear more like a scarf. I'm really excited about it, I think it'll be just enough texture to show off the yarn, but not so much that it will become muddled. The grey alpaca makes it incredibly soft-- I was holding a skein up to my neck earlier, because I have pretty sensitive skin and I wanted to make sure the yarn wouldn't be itchy, but it was just fluffy and cozy. It took about three hours just to do the plying on this yarn because there's so much of it and it's quite thin. It's definitely my favorite handspun to date. And after what must be the most ridiculous struggle in history with the postal service, I received some super-cute Ravelry stickers in the mail! 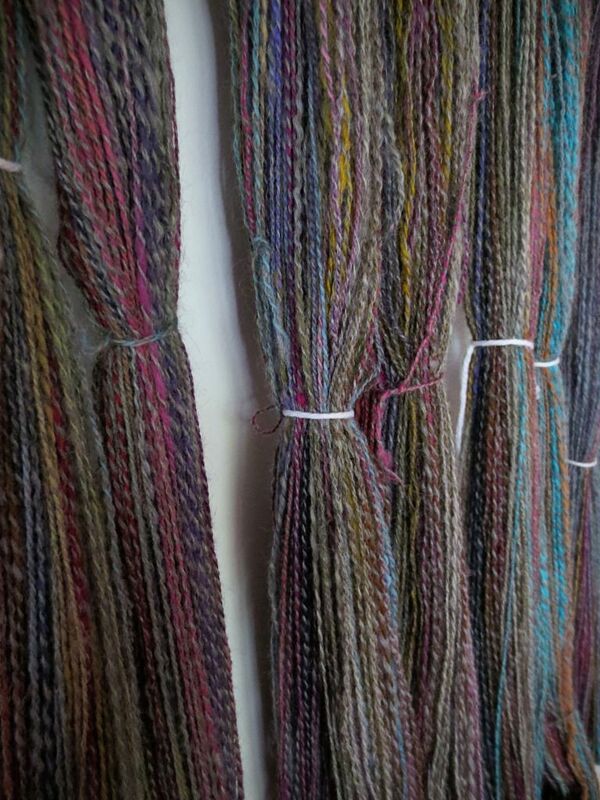 (Readers who don't knit, crochet, or spin: Ravelry is basically a social networking site for fiber artists, and it is awesome. If you've been wanting to learn, check out Ravelry and I guarantee you'll be intensely motivated.) They were delivered to the wrong house, then nobody at the post office knew who the substitute mail carrier was that day, it was such a fiasco. But some lovely person put the envelope back in their mailbox when they realized it wasn't theirs, and ta-da! Stickers for me. Aren't they adorable? I think the middle one is going to go on my laptop. 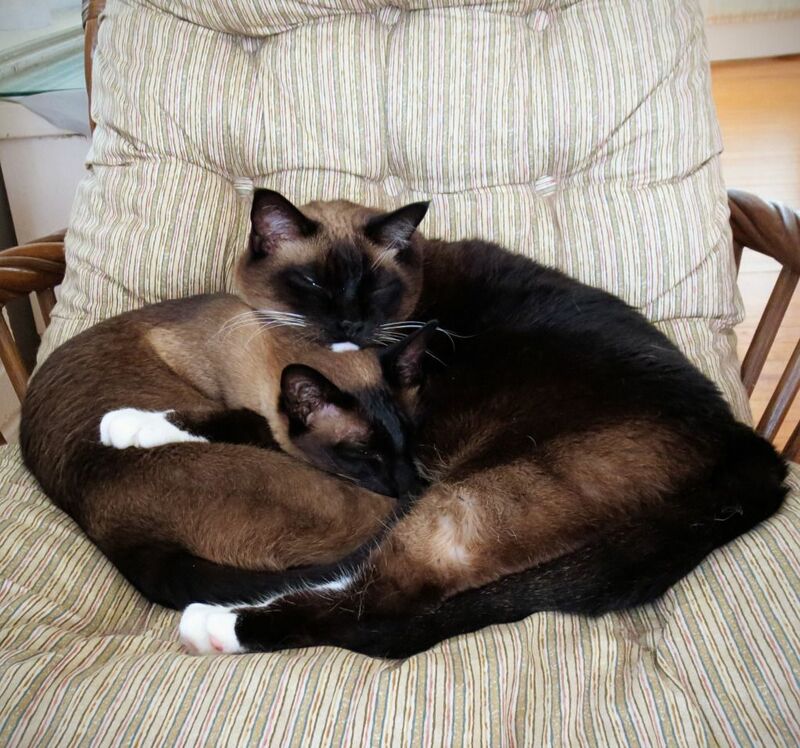 ...And here's a picture of Bucky and Cocoa for no particular reason other than that they were being adorable. Who doesn't love an adorable cat photo? I'm off to alternately snuggle my cats and my yarn. Have a great night! 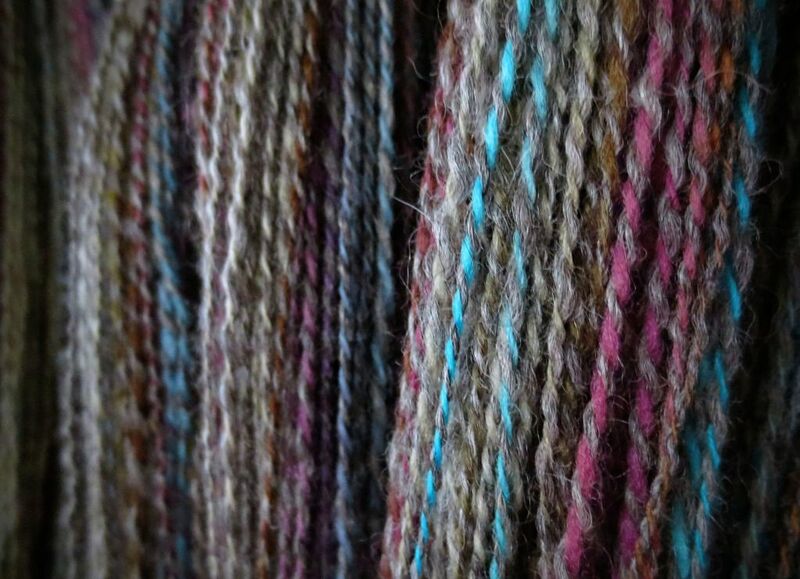 Your handspun is gorgeous! I wish I could feel it through the computer, it sounds so soft! 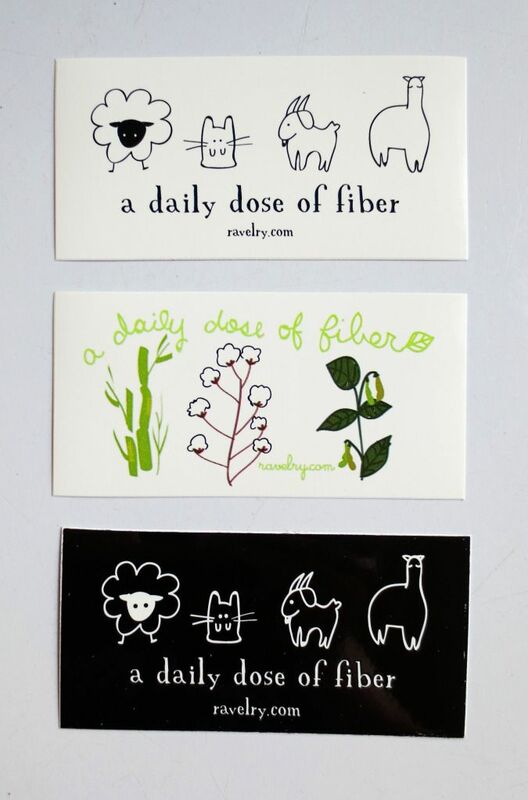 Love the Ravelry stickers too, I think I may need my own set of those! Your two kitties are so cute! Here I am checking out your blog. Love the barber-poling in your alpaca. I glad to hear to say your alpaca is soft to the neck. That's been a question of mine about alpaca. And the 'dang' was for the enabling you've handed me first time I'm visiting. Love those Rav signs. I'm clicking the 'subscribe by email' button below as I hope you will on my blog comments.